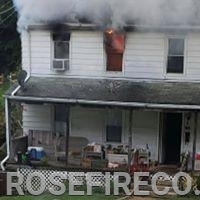 After returning from a High Angle Rescue in Glen Rock, crews were alerted back to Glen Rock for a structure fire. 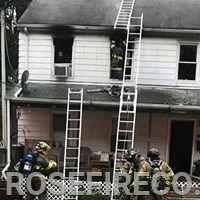 Tower 58 as well as Engine 58-1 went responding. Tower 58 arrived and immediately went to work doing a search for occupants on the 1st and 2nd floors. once search was complete with no residents found inside crew went to assist 59 with fire extinguishment and to search fire extensions. Other members from the Tower were preparing to go to the roof for ventilation. 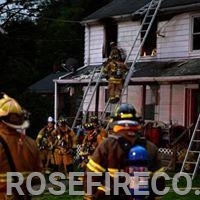 58-1 assisted with manpower and backing up the initial crew from 59 and then were rotated in and out for overhauling. Crews then assist 59 with clean up and returned back in service.